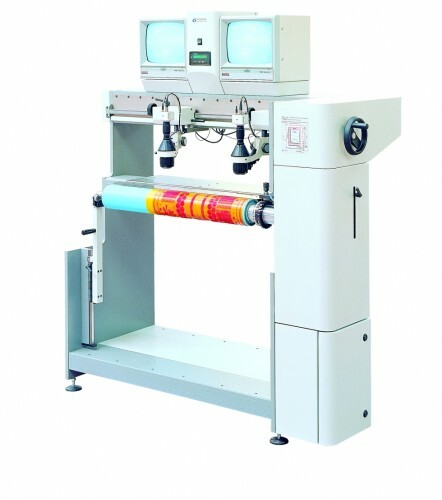 The Flexmont is designed for mounting flexographic printing plates. The plates are mounted onto the form sleeves. The system ensures precise plate mounting with a high reproducible accuracy. The printing forms are positioned by means of registration marks or microdots. The registration marks are scanned by cameras with 100× magnification and displayed on monitors. Once the plate microdots are aligned to the crosshairs on the monitors, the flexographic plate is mounted precisely on the form sleeves. All models are equipped with an optical guiding system.